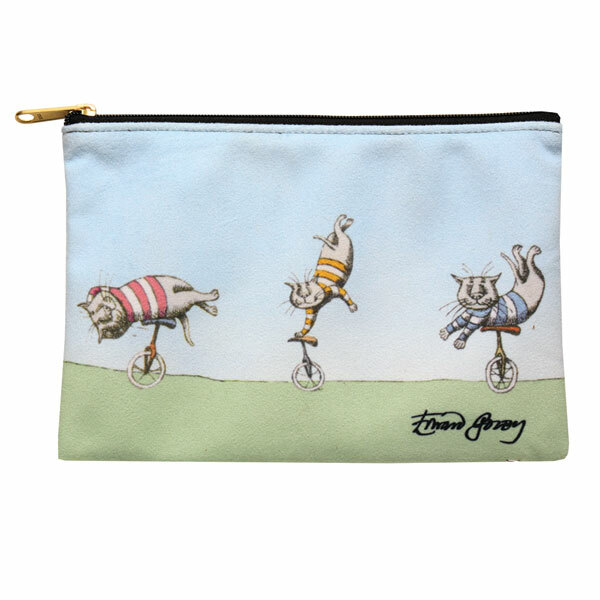 Goreyphiles will adore this practical little pouch with its distinctive, delightful art by the master. (Gorey adored cats.) Faux suede, fully lined and finished with a zipper top. 8 3/4" x 6".